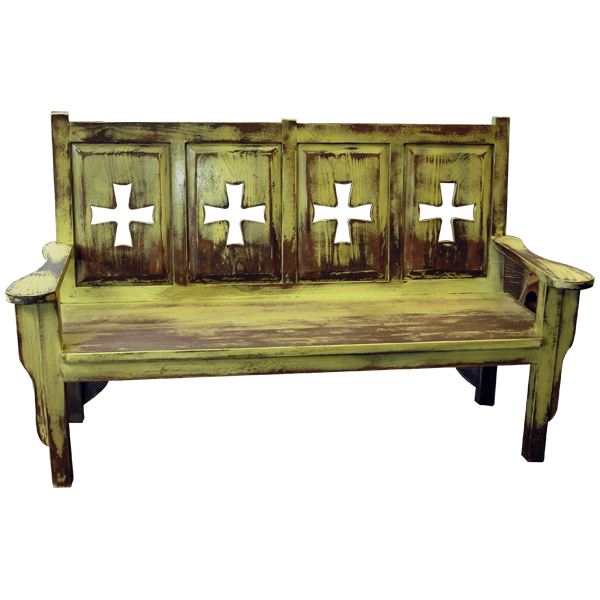 Bring an antique feel to your Western décor with the green, distressed finish and the Spanish colonial style details of this handcrafted settee. 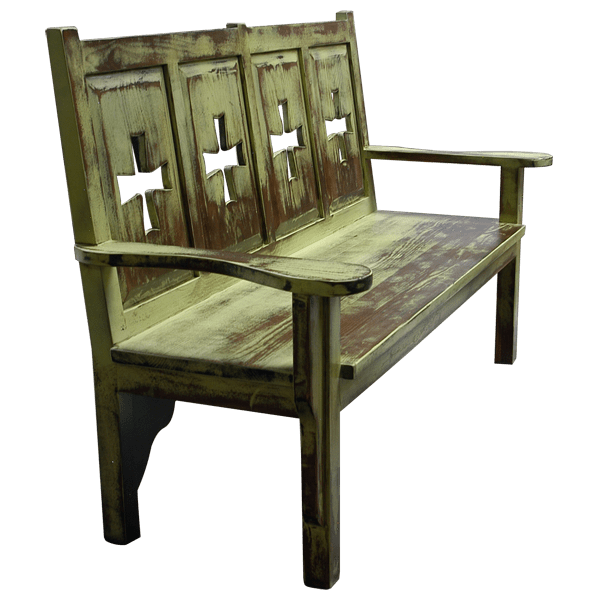 The settee has a rectangular, solid wood, framed seat back, and the seat back is adorned with four, rectangular cut panels. 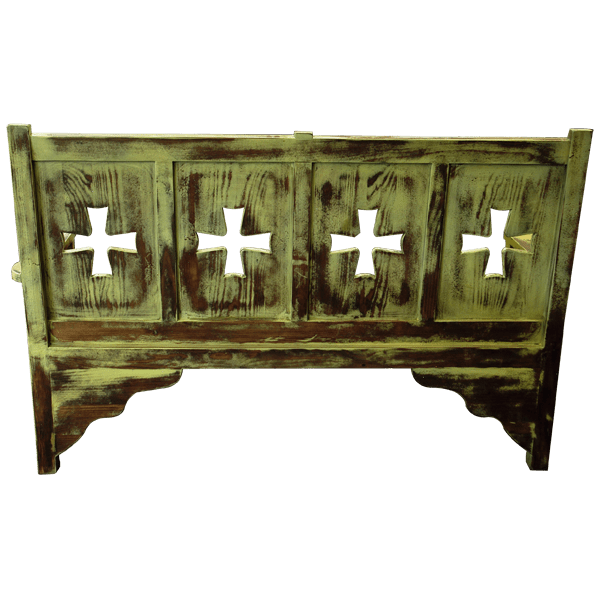 Each panel is embellished with a large, Spanish colonial style, cut out cross. The settee has a wide, solid wood seat, and the seat is accompanied with lovely, colonial style, curved armrests. It is supported by slightly, curved legs, and the legs end in a square cut design. The settee is made with the best, sustainable, solid wood available, and it is 100% customizable.